I was at Fox lane around the same time. Do you remember Avril Gardner or Valerie Woods, Marlene Hall, Barbara jervis, Diane Howarth Paul Frodsham. See if you can find Jean Damp and Alison Logan on here, I'm on it as well. 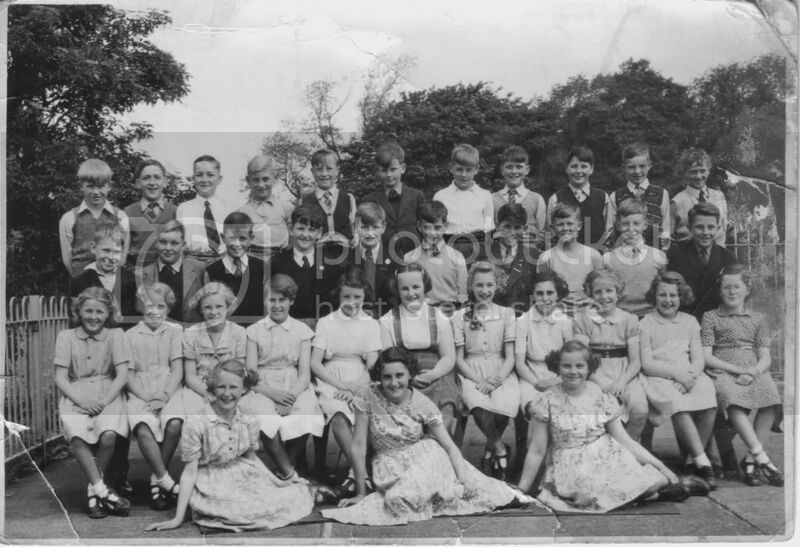 Woodlea School has a great web site with loads of old photos. Jean is in the middle of the front seated row wearing the dress with the straps. I think that's Kathleen Platt to her right and I think Alison Logan is two to her left. The Logans lived in one of the semi-detached houses with the very long front gardens right opposite the entrance to the Junior School. Maybe that's my cousin Michael at the left end of the front row of boys and Martin Salisbury at the other end of the row. I think you're right about John Lawton, Brian and I think that might be David Demack (unless it's his brother Jeff)second from the left on the top row. Jean is three years younger than me and David was my age, so I'm a bit confused over the date of the photo. So you remember me I am Avril, Sadly my dear friend Valerie died last year. Also Mavis Renolds she also died last year. Marlene still lives in leyland Doreen lives in Leyland. I believe it was Jean Damp who had an accident when we went to swimming lessons.